of the meaning of human existence. Berdyaev's philosophy starts with freedom, which he maintains is the basis of all else. Freedom is the context of our existence which cannot be judged or determined by anything else, for otherwise it would not be freedom. In spite of this, freedom has still to be achieved. Freedom cannot be understood or tolerated by the objective mind, that part of us which tries to control reality for our comfort and security. The objective mind has split the world into subject and object, self and others, Spirit and nature, and so on. This activity, which Berdyaev called "objectivization" has both benefits and drawbacks. Our notion of truth is presently under the spell of objectivization. Only what can be objectively verified is considered to be true, genuine, and trustworthy. The rulership of objective thinking, which plays itself out as science and technology, alienates and suffocates both the life of the spirit and the individual. Truth has nothing to do with the objective world, but rather is related to spirit. Truth is something present and immediate. Like truth, the spiritual dimension is not arrived at from the natural world. It exists in its own right and does not need to be proven or demonstrated. To seek to do so is to put the cart before the horse. It is spirit that points to the overcoming of objectivism. The struggle against the power of objectivization is ... a spiritual revolution. While objectivization obliterates the person in the universal and the general, spirit re-establishes and affirms the value of the individual over against the static, lifeless, normal, determined, and objective. To Berdyaev, personality is more than just our way of being in the world. It is the priceless, unrepeatable value of the person. Although the personality appears to be inferior to society, the world and the universe, it in fact contains these and is of greater value than all of them. The value of the person over the collective does not imply individualism or oppose community. The end of objectivization will mean the recognition of creativity as each person's highest purpose and fulfilment, for "only he who is free, creates." Creativity means a participation in the mystery of existence. It lives in the abyss of freedom. Creativity is our ultimate destination - not evolution which is governed by necessity and determinism, nor the current fashion of self-development. Creativity does not just mean producing a work of art. Rather it is the transformation of self and the world. 7. The Third Epoch or "Eighth Day of Creation"
Berdyaev could see the coming of a time when our creative potential will be more developed. We will then be in a position to collaborate with God to re-create the world. This will reverse the effects of the "fall of man" and bring in a new era, the "Third Epoch", and a religion of the Spirit. 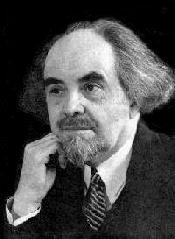 Berdyaev's vision is of humanity overcoming the gap that separates us from God through the creative act, and in the process becoming divinized.